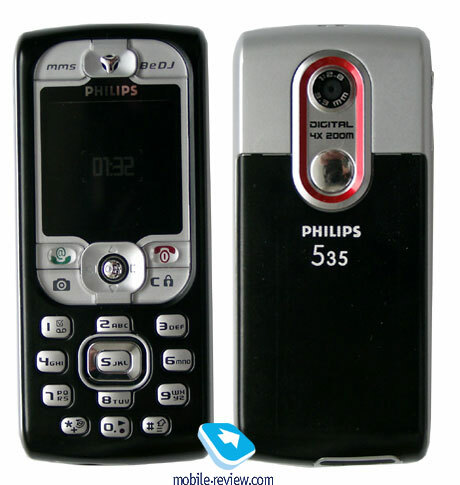 Many Philips fans reacted with the release of the Philips 530, because of its unusual design. 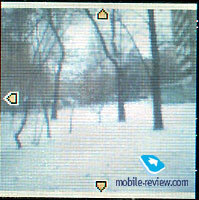 The only flaw the phone had was a lack of an external camera, which of course was not included in the standard package. Philips realized the fact that the phone should have a camera installed right from the start and that's why THIS model appeared. The Philips 535 doesn't have any differences from its big brother except for the built-in camera and this model hasn't embedded radio. The casing has remained unchanged, but with the camera lens and a little mirror located on the back. Typically for Philips there will be about six different panel colors available, some of them quite appealing. We won’t describe all features of the 535 because of the similarity with the 530, which you can read about in the Philips 530 review. Instead, we will focus on the camera features. The 530 has a built-in VGA-camera, which supports the 640х480, 320х240, 160х120 and 128х128 pixels resolutions. 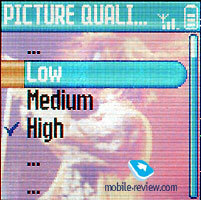 The last one is very handy when you’re sending an MMS, considering that the operators very often has a size-limit for each MMS sent, but of course the option to use bigger resolutions is ultimately your prerogative. All pic-files stored in the phone's memory (in JPEG format) are saved to the Picture Folder. 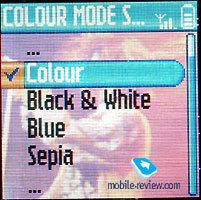 When taking pictures you can choose the colour of the picture - colourful or black & white. 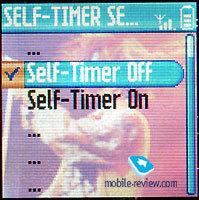 You can also choose the effects Sepia and Blue, and timer is available as well. 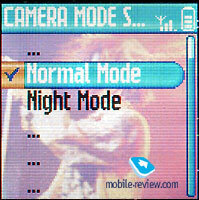 The camera's matrix can work in automatic mode and a night-shot mode is also available, during which its photosensitivity increases. During the “shooting” you can see all the settings that are set for the picture and to access this mode you have to press the special button once. The same button acts as a trigger when you find that special piccy. You can also setup the sound used for the trigger. The phone has a 4x zoom function (digital of course). I can't actually say if the zoom function will be used a lot, since the pictures quality gets reduced significantly when using it, which you can se already on the phone's display. Here are examples of how the pictures look on the screen where some of them are shown as single files. 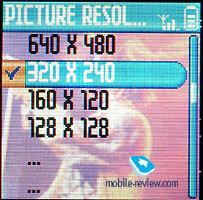 In my opinion, the optimal resolution for pictures will be at 320x240 pixels where you’ll get the best quality. 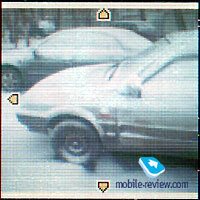 The 640x480 resolution has some artifacts and objects located pretty far look blurry. It's hard to expect something better from this type of camera since the same problems can be encountered in every other phone with a built-in camera. Effective distance for taking pictures is about 30 cm, thus the camera is not suitable for taking pictures of panorama or objects that are located too far from the beholder. Actually it’s more for using to take pictures of yourself, your friends and objects in the vicinity. 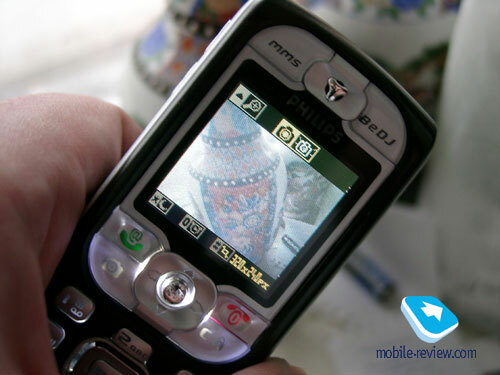 It's impossible to say anything new about this phone, since it's a copy of the Philips 530 with a built-in camera. Releasing this model almost immediately after the Philips 530 release makes this phone quite impopular at the market. Philips will try to distinguish these two models by pricing - the 535 will cost you about $35-$40 more than the 530 which in the end suggests a price of the Philips 535 set to about $235-$240 in December.